CUBA STANDARD — Scraping along most of Cuba’s northern coastline during 72 hours, Hurricane Irma claimed at least 10 lives and caused major damage to much of the island, knocking out the entire national power grid and devastating the tourism infrastructure in the northern keys. Loss of life is an unusual occurrence in Cuba, which prides itself of world-class hurricane preparation and response. However, this Category-5 storm — the highest on the Saffir Simpson scale and the first to hit Cuba since 1932 — affected major population centers with a crumbling housing stock. 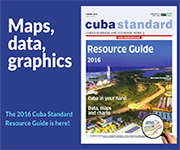 Officials at the small city of Santa Clara, in central Cuba, reported 29 building collapses. In Havana, there were a total of 4,288 cases of structural damage to buildings, including 157 total collapses, 986 partial collapses, 818 total roof losses, and 555 partial roof losses. Two lives were claimed when a balcony fell on a bus, and two people died in a roof collapse. Both incidents occurred in Centro Habana. More than 1.7 million people — 15% of the island’s population — had to be evacuated. Eighty-six percent of those sought shelter in homes of family and friends. Authorities shifted into recovery mode very quickly, mobilizing tens of thousands of soldiers, linesmen, construction workers. 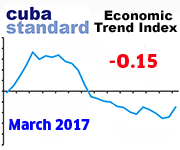 However, the costly hit comes just as the Cuban economy is struggling to emerge from recession. In a message to Cubans on Sept. 11, President Raúl Castro talked about the “immense task ahead”. He said it was too early to estimate the damage, but that the biggest hits were to the housing stock, the electric system, agriculture and tourism. Underlining the sense of financial urgency, the Cuban foreign ministry announced that the government — in an apparently unprecedented move — opened a hard-currency account at state-owned Banco Financiero Internacional for hurricane relief. Cuba has much experience to get organized after similar natural disasters, Vidal added, but this hurricane seems to have been more intense than previous ones, and it struck right when the Cuban economy is in “intensive care”, due to the effects of the Venezuelan crisis. Power: The entire electric grid was down as of Sept. 12, Energy and Mining Minister Alfredo López Valdés said that day, although some parts were being reactivated. Fifteen major transmission lines more than 2,000 kilometers long went down, as more than 3,600 transmission line towers were toppled. As of Sept. 16, 87% of clients had their power back. The biggest problem is damage to the country’s aging thermoelectric plants, some of which are lined up along the northern coastline. The 280-mw Antonio Guiteras power plant in Matanzas province, Cuba’s largest, which supplies much of the Havana metro area with electricity, was down for repairs after the cooling circuit was destroyed by the storm surge; 25 truckloads of rubble of what used to be the cooling complex had to be removed before damage to the pumps could be assessed. The work ahead at the seaside power plant is “complex and voluminous”, Granma reported Sept. 12. 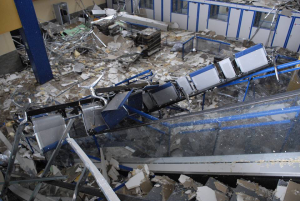 Officials said they hoped to be able to fix part of the damage within two weeks, but could not give a date when the plant will go online again. The Boca de Jaruco combined-cycle gas power plant — operated by Canada’s Sherritt International Corp. in a joint venture — fed electricity into the grid again after just 72 hours, apparently receiving enough gas despite damage to nearby wells (see Oil and Gas, below). Meanwhile, technicians re-installed panels in solar parks throughout the island. The solar panels were dismounted and stored in safe places before the hurricane. In the hardest-hit areas, such as the town of Bolivia in Ciego de Ávila province, power was restarted with generator clusters using the municipality’s local electric grid. 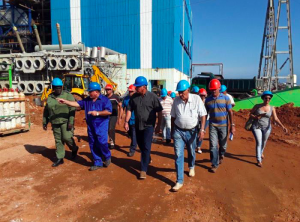 Vice President Miguel Díaz-Canel, who is expected to replace Raúl Castro as president, toured the Guiteras power plant Sept. 14, saying that restoring power is the most urgent task at hand. Tourism: Tourism officials almost immediately sent an “open for business” message to the world, but serious damage to tourism infrastructure from Guardalavaca in Holguín province all the way to Havana needs to be repaired. 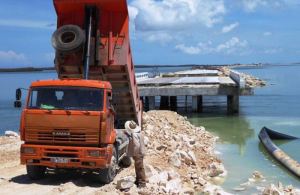 The Caibarién to Cayo Santa María causeway is closed due to severe damage in several spots (repairs are underway). Meanwhile, the causeway connecting the beach resort of Cayo Coco to the mainland reopened Sept. 16. Cayo Coco and the Cayo Guillermo resort were closest to the path of the storm, as was Varadero, with wind speeds of up to 160 mph, storm surges of up to 10 feet and waves as high as 20 feet. Just on the Santa María, Coco and Guillermo keys, 10,625 tourists had to be evacuated, half of them to Varadero and Havana; the other half were Canadians who were flown home. In Havana, the landmark Meliá Cohiba and Riviera hotels were flooded (the Cohiba was reported to be “fully operational” again, with all services restored by Sept. 14; a Prensa Latina report said the coastal Arenal, Memories Jibacoa, Aquarius and Commodore hotels in Havana will all reopen by the end of this week). 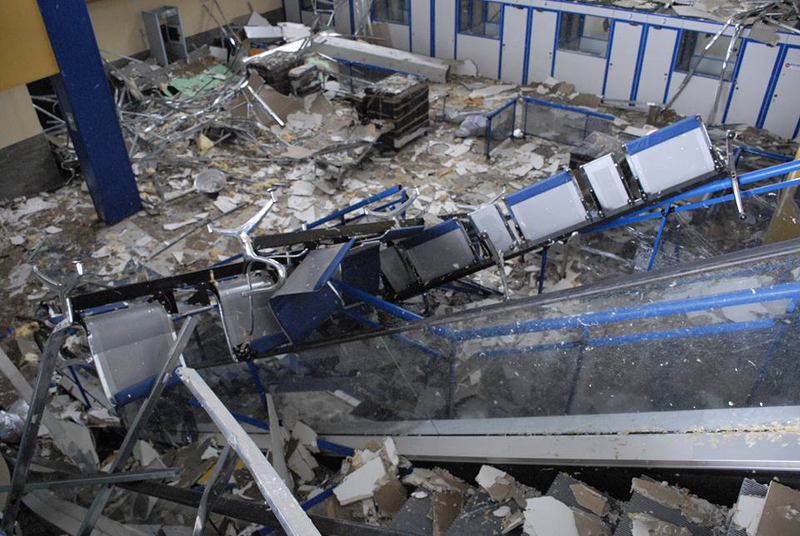 Photos by official daily Granma showed major damage at the main terminal at the Cayo Coco international airport. Both José Martí Airport in Havana and Juan Gualberto Gómez Airport in Varadero were closed for five days, reopening Sept. 12. In Varadero, 17,000 tourists — including 3,000 evacuees from more exposed keys further east — hunkered down in hotels. Castro highlighted the issue of damaged tourism infrastructure in his message. High season begins in the first half of November. All of the damaged hotels are owned by Cuban state companies. Even though a local official told reporters that the damage was only minor, inspectors by a tour operator found nine hotels in Varadero with major damage (see list below). Low-lying areas further inland were hit by flooding caused by 10 inches of rain. Thirty-six foot waves penetrated the seaside Malecón boulevard in Havana, flooding nearby neighborhoods and damaging the U.S. embassy building. The Tourism Ministry confirmed the tourism infrastructure will be in good shape again for the beginning of high season. Meanwhile, Canadian airlines WestJet, AirTransat and Sunwing removed regularly scheduled flights to and from Cayo Coco, Cayo Santa María and Santa Clara through Oct. 31, according to TravelWeek. Agriculture: The next sugar harvest is expected to reflect the big hit Irma inflicted on sugarcane crops. 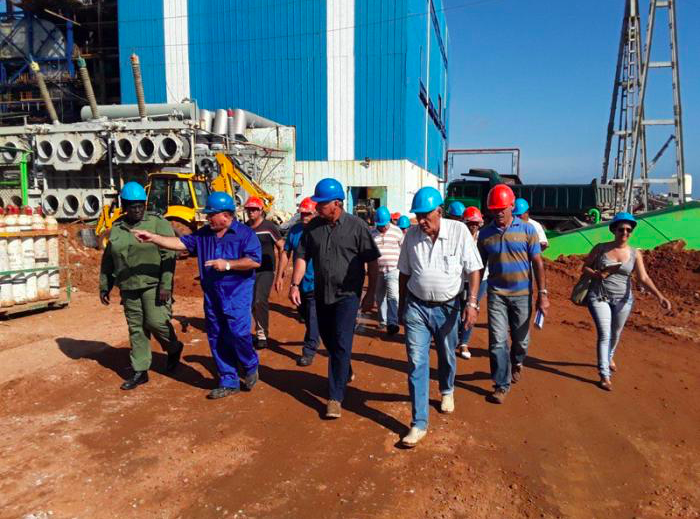 According to an official of sugar industry holding Azcuba, the impact on sugarcane has been “severe”, with at least 338,000 hectares of this year’s sugarcane crop flattened and another 92,000 hectares inundated, 20 sugarmills damaged, and 4,000 tons of raw and refined sugar soaked. The poultry industry and egg production suffered major damage, as roofs were blown off many chicken barns. Cattle feed, banana and corn crops, as well as fruit, were severely affected. Oil and gas: Some 90 oil wells on the northern coast were damaged by the storm surge. An Empresa Cubana de Extracción y Perforación de Petróleo official said that more than 90% of production facilities in the main oil region east of Havana was “affected” by the storm. Infrastructure at the oil and gas fields of Boca de Jaruco, Puerto Escondido and Seboruco suffered damage. 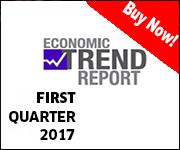 Revenues from the latter are expected to be reduced by 30%. Recovery work on each well is underway. Manufacturing: Storm damage — mostly to roofs — shut down state-owned Empresa de Fertilizantes de Nuevitas (fertilizer), Fábrica de Calentadores Solares in Morón (solar water heaters), Tenería de Caibarién (tannery), Fábrica de Cloro, Hipoclorito y Alúmina in Sagua La Grande (chlorine), and Fábrica de Ácido Sulfúrico in Rayonitro (sulphuric acid). Repairs are underway, the Industry Ministry said Sept. 20. At least 14 alleged looters have been detained in Havana, for robbing shops and homes in the flooded Malecón area, official media reported. Near-shore neighborhoods in Havana are desolate after the storm surge reached second floors in the Malecón area. “We are investigating 10 legal cases against 14 people accused of robbery in these establishments. All were detained on charges of theft, violent robbery and embezzlement,” Havana Prosecutor Dixan Fuentes told Juventud Rebelde. 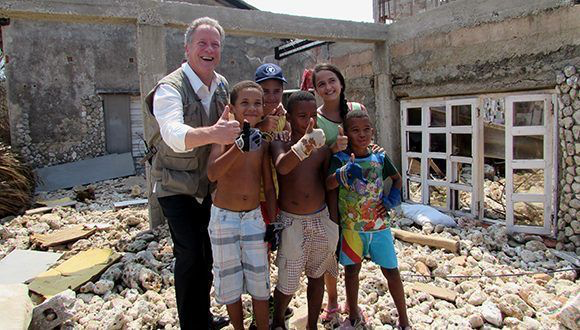 The United Nations’ World Food Program will start a $5.7 million program to “complement the food needs of 664,000 persons” in all storm-affected areas, WFP Executive Director David Beasley announced after touring a flooded neighborhood in Havana. The WFP will deliver 1,600 tons of food it already has to the island, and use $1.5 million to buy more, the ex-governor of South Carolina said. Also, the United Nations’ FAO opened its emergency fund to help with rehabilitation measures in Cuban agriculture. Belgium started with a donation of $300,000; the FAO hopes to provide a total of $7 million. Meanwhile, Venezuela agreed to send 600 tons of relief supplies, including construction material, electric equipment and other supplies. Russia agreed to send 1,200 tons of relief supplies. The Dominican Republic sent a ship loaded with 86 tons of building material; Japan delivered two planeloads of relief supplies. China donated $1 million in cash and said it will send six airplanes with relief items and a ship with rice. 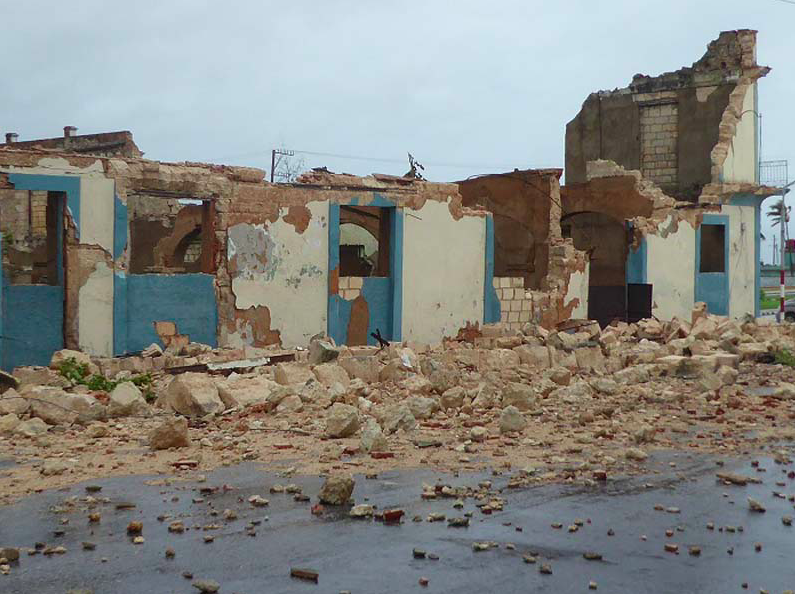 Spain donated €200,000 to the Cuban Red Cross for building materials. Russia, Bolivia, Ecuador, Vietnam and Panama also announced they will send aid to the island. Chinese state company Beijing Enterprises Group Ltd. donated $1 million in cash. Miami-based Norwegian Cruise Line announced Sept. 15 it was told by Havana port authorities that cruise facilities were not damaged and that the Sierra Maestra terminal is ready to welcome cruise ships. Norwegian said the Port of Miami-based Norwegian Sky will depart for a four-day Cuba cruise on Sept. 18, as scheduled. Italy’s MSC Cruises said that its Havana-based MSC Opera will resume operating regular cruise service starting September 16, with unchanged itineraries. Meanwhile, the government announced it would fund 50% of all expenses for construction supplies for hurricane victims. Also, Havana city officials held an unusual press conference emphasizing a five-year old program that assists in home repairs with a budget of 185 million Cuban pesos (US$7.7 million); it has delivered 10,000 homes to people living in shelters. Havana housing Director Euclides Santos said that 50,000 families just in the capital are in need of new housing. Access to some hotels is blocked by trees and debris. Recovery and cleanup work has begun in hotels but not yet on the roads and resort areas. Hotels do not have regular electricity. Most are running on backup generators. Telephone or Internet services are not available. Cell phones work in some areas, however the signal works erratically. Recovery work has begun but the current priority of the authorities is to carry out a complete evaluation of the damage. Most customers are in their rooms and all people have been asked to stay away from beach areas and areas damaged by the hurricane. In most hotels, food is being taken to guests in their rooms. In other hotels it has been possible to open a restaurant where food service is being offered. This entry was posted on Tuesday, September 12th, 2017 at 6:56 pm	and is filed under Top Stories. You can follow any responses to this entry through the RSS 2.0 feed. Both comments and pings are currently closed.